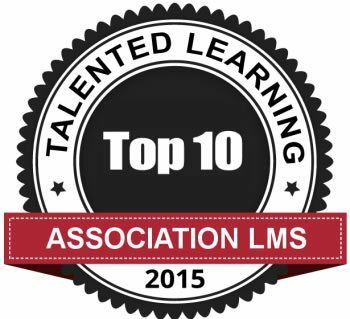 TalentedLearning.com recently announced that TOPYX Learning Management System (LMS) made the Top 10 Association LMS Solutions in the World. Over 100 LMSs were reviewed to determine the top learning management solutions for associations of all sizes. Talented Learning, led by CEO, John Leh, is a research and consulting organization dedicated to the advancement of enterprise learning technology solutions. Their research helps organizations at every stage of the learning technology lifecycle, including business case development, requirements identification, technology vendor selection, deployment and adoption marketing. Because of the low-flat subscription fee for a full-featured LMS with absolutely no user fees, TOPYX has become a popular choice for associations and nonprofits. Come clients that chose TOPYX for their membership and training needs include, Rotary International, SCORE, Big Brothers Big Sisters, National Association of Social Workers, and more. A special thanks goes out to John Leh and his team at Talented Learning from the entire Interactyx team working every day to provide the best value LMS for associations and nonprofits. We are honored to be ranked one of the best LMS solutions for associations in the world.